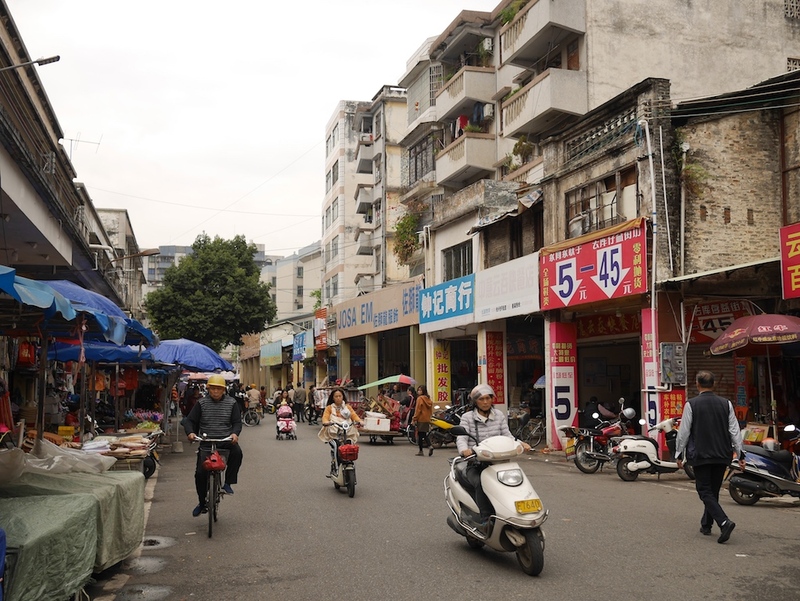 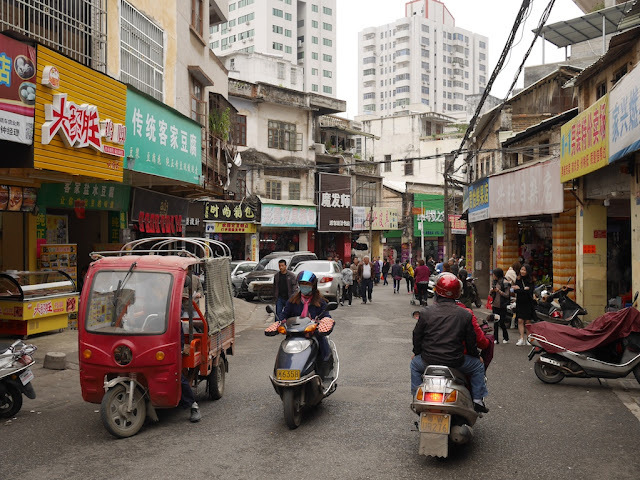 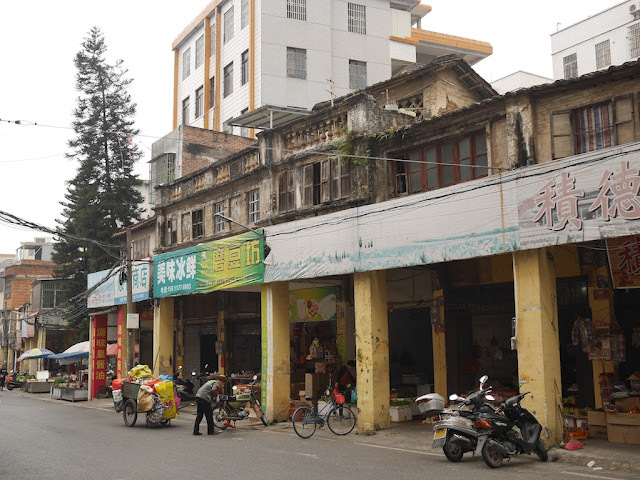 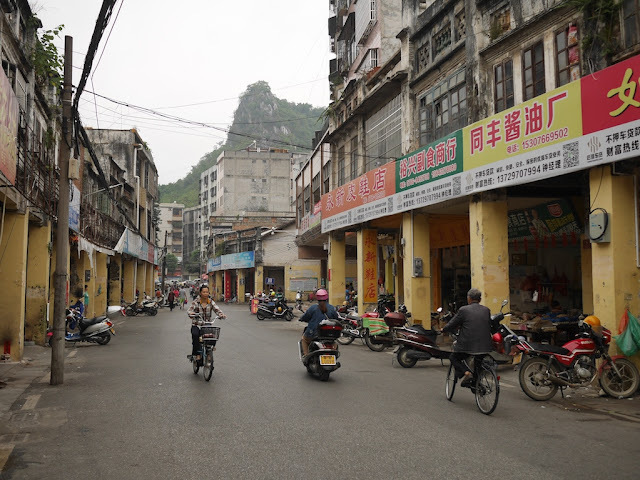 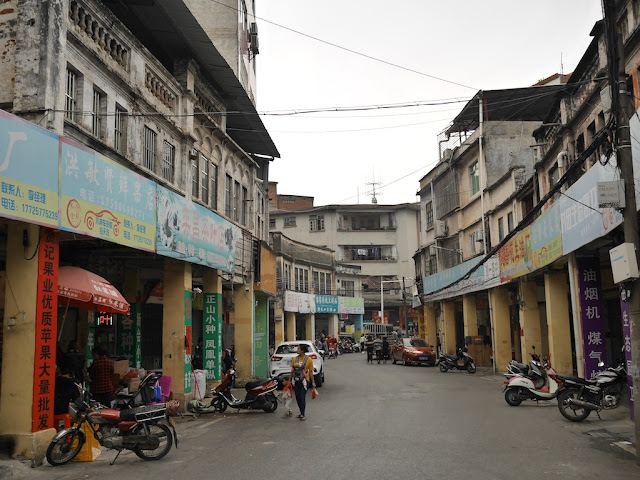 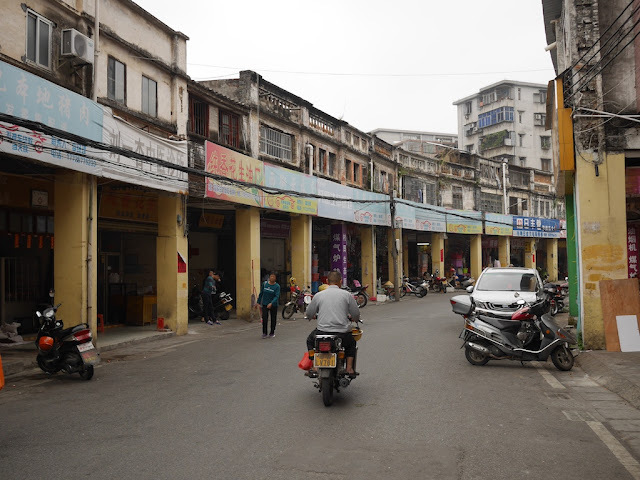 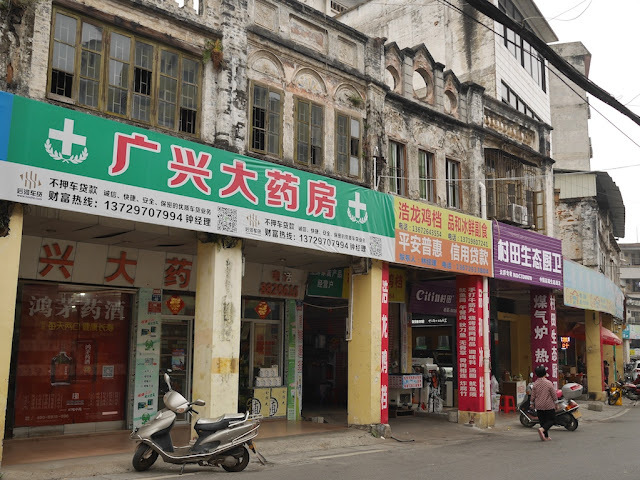 Many of the buildings which line Jiefang Road as it winds it way through central Yunfu are indicative of some of the city's history. 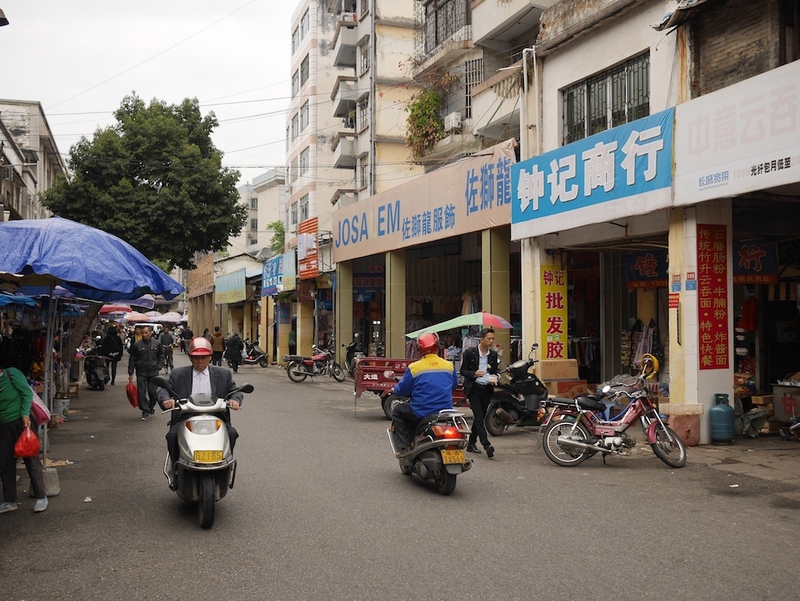 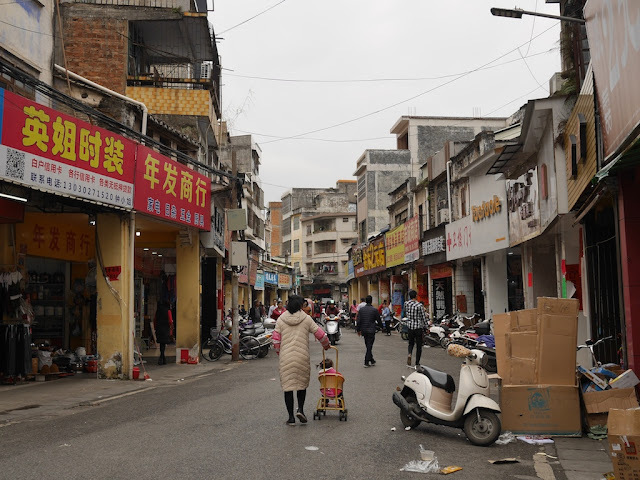 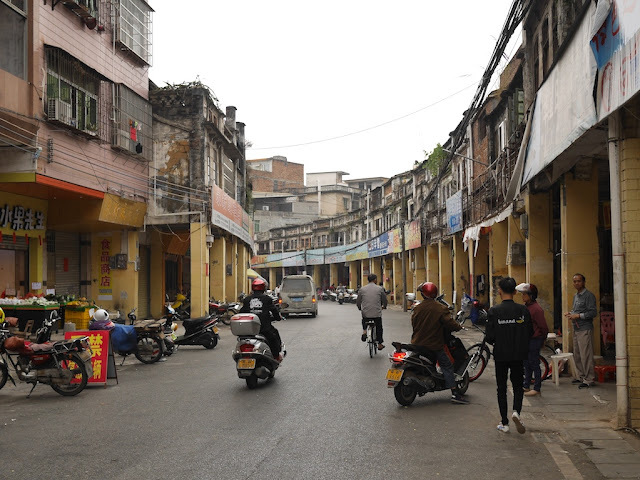 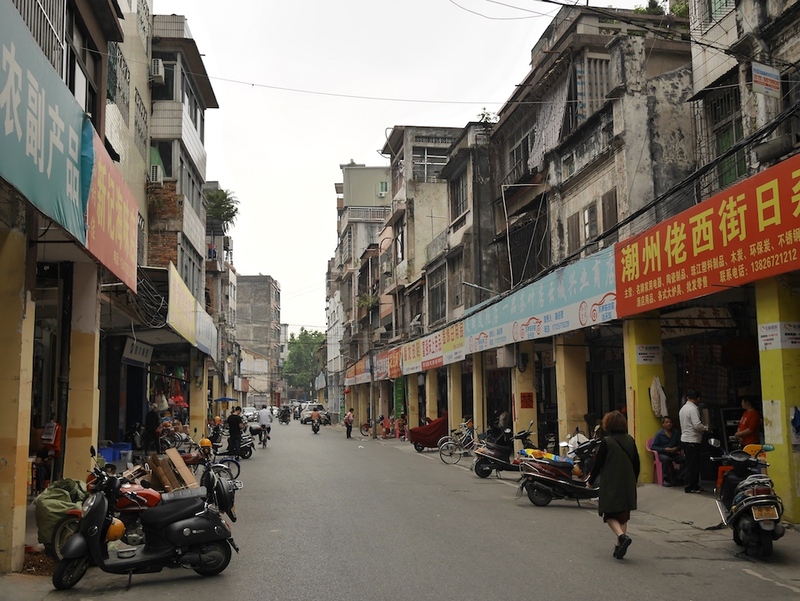 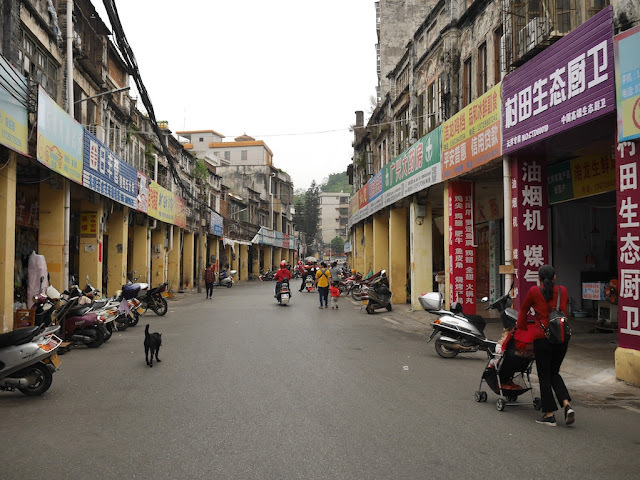 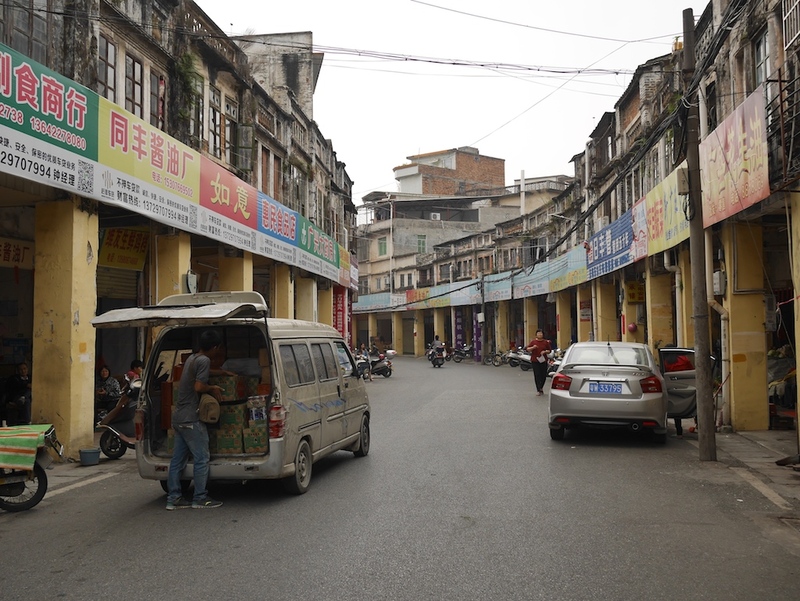 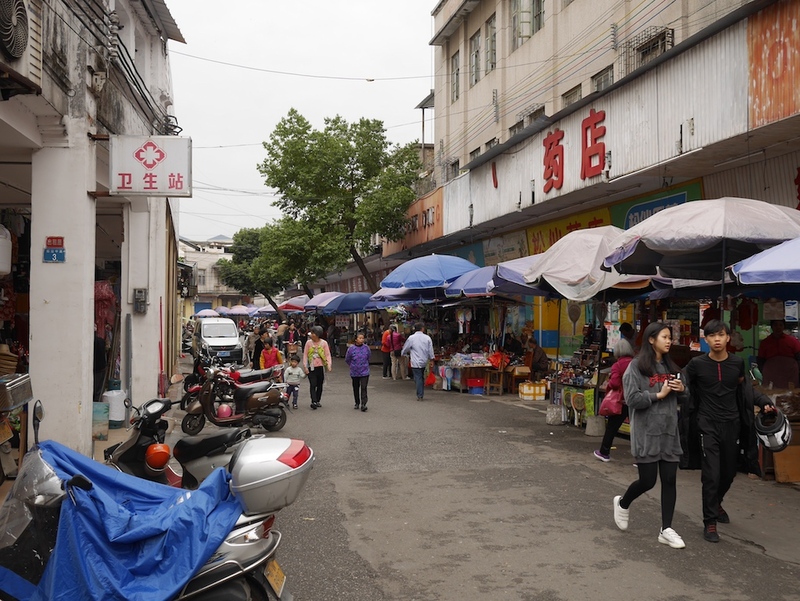 In nearby cities such as Zhongshan and Jiangmen, a few similar historical roads have in part been turned into popular pedestrian streets. 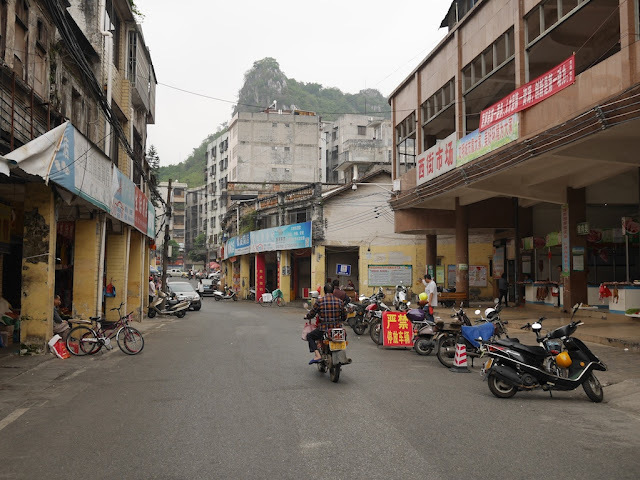 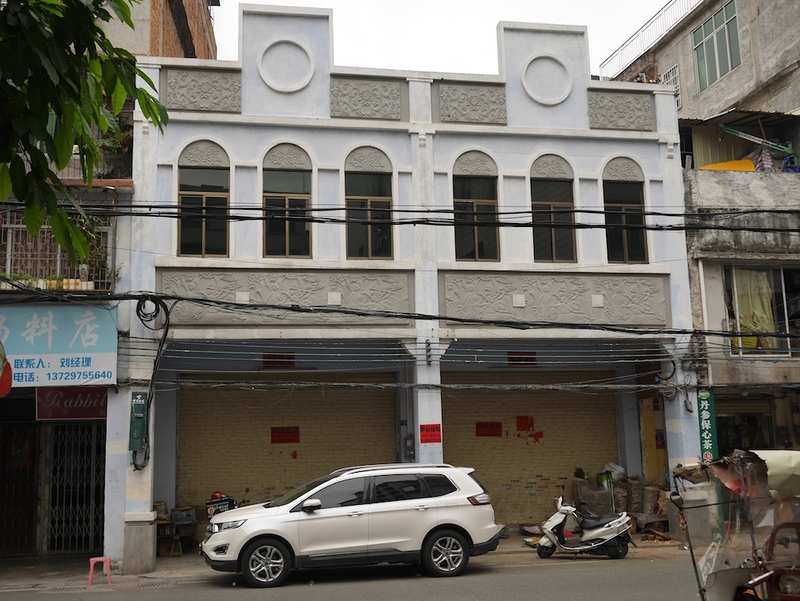 Yunfu doesn't appear to have any such grandiose plans at the moment, though the city government has proposed renovations to this "living fossil" (reference in Chinese). The series of photos below capture scenes beginning on Jiefang East Road, moving westward to Jiefang Middle Road which passes by Martyr's Park, and then onto Jiefang West Road towards the road's end near Pingfeng Hill, which appears in two of the photos. 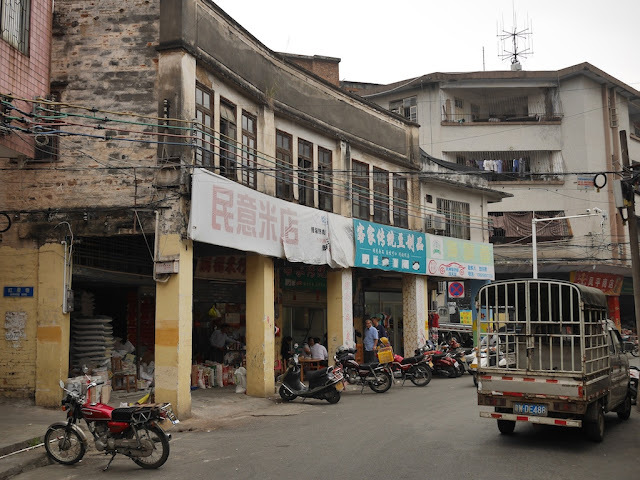 Many of the scenes include buildings with historical architecture. 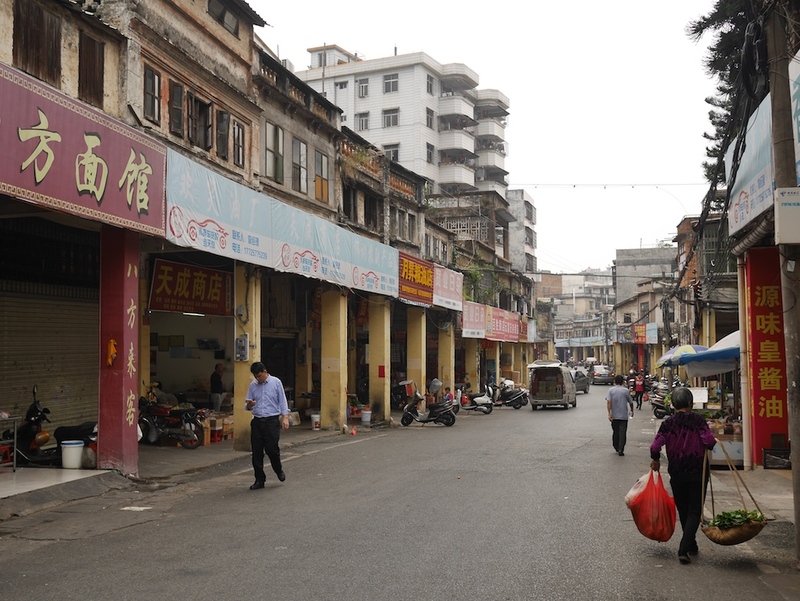 And many capture some of the life at the old street on two recent weekday afternoons.